You had high hopes for your first year at Ohio State, but it’s probable some facet of your experience has fallen short of or been different from your original expectations. As second semester is wrapping up, you may be facing a few questions and concerns. I was used to getting good grades in high school. What happened? College is much different from high school in terms of academic expectations, the ways you are tested, and professor-student relationships. It is important not only to recognize these differences, but to take actions that will help you succeed in this new and more challenging learning environment. The emphasis in college is more on the application of the material you are learning rather on the material itself. While taking an exam, you may find yourself thinking, “We didn’t go over how to do this problem in class!” Panic mode usually ensues and you get upset at the professor for doing such a thing. In reality, not much changes throughout college and even into the working world. This style of testing forces you to leverage what you do know and apply it to something you may have never seen before; it is a tough transition at first, but gets easier the more you learn how you study best (and how you “studied” in high school is likely not how you should be studying in college). You also may have been used to having immediate and easy access to your teachers in high school; now, if you want help, you need to seek it out yourself. Gone are the days of exams that are just like the study guide. I can’t emphasize enough how valuable office hours can be if you do not understand material you have been going over in class or want to gain insight into what topics your professor finds most important in terms of testing. It may be difficult to believe, but your professors want you to succeed. If you have not recieved the grades you were expecting, I know it can be discouraging, but believe me when I say, “It is okay!” The issue is not your intelligence or maybe even your effort; it is likely that you have not made the transition from the high school mentality towards education to the college mentality. What can you do about it? Take study breaks and be conscious of your engagement level. Don’t cram. Try to keep up with material as you are going through it in class. I tried to get involved but I haven’t found the meaningful involvement I thought I would. There is often a period of feeling like the “new guy” when you begin coming around to different organizations, but the more you go, the more people you begin to recognize and get to know, and the more friends you begin to make in that organization. Eventually, you will start to feel like it is a place you belong if you are patient and make it through that initial adjustment period. It certainly helps to try and find organizations that align with your values, goals, or views on life as it becomes a place in which you feel refreshed and encouraged. I did not begin feeling like I truly found opportunities that helped me grow as an individual and feel as if I was integrated into the community until my second year. During my first year, I went through huge changes in terms of what role my faith played in my life. It became my everything and so naturally, I got involved with a church on campus called H2O where I could continue to grow, learn, and be a part of an extremely caring community that can be fully empathetic toward my struggles and frustrations with life, with full understanding of my world view. This is not me saying that diversity of opinions in your life is to be avoided; rather, I’m emphasizing the importance of having support from a community that understand where you are coming from. BE PATIENT. We all need to get over our culturally-imposed need for immediate gratification and be patient. Figure out what you really care about in life, then sort through what types of organizations you may be interested in. Deeply invest yourself in people and community. You probably won’t get much out of organizations if you view them as if they exist to serve you. 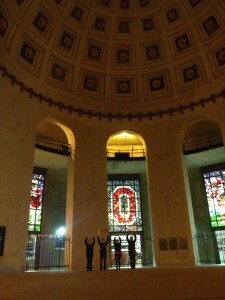 You are a Buckeye and you have a home at Ohio State. Finding that is the challenge, but it’s worth investing the time and energy to find it. I still have no idea what I want to major in. You are not alone! I changed my major in my second year. It happens. Focus on what you want your life to be about and how you want to use it, then work backwards and seek out opportunities in which you can contribute toward that purpose through your career. This summer is a good time to do some soul searching. Reflect but know there’s no right answer. You will gain better direction as you get exposed to what is really out there through out your college career. Don’t be afraid to take opportunites to learn about new things. College is a huge time for personal growth but that doesn’t happen if you do everything perfectly. Know that most people–including me–still struggle with these very same issues. I’ve found it helps to view college as a time to learn and develop your values, beliefs, and what truly interests you in life; the rest has a way of falling into place. It’s officially December 1st, which means now is the chance to do all the winter and holiday things you can handle! Everyone enjoys this season in a different way, so get out there and enjoy it (instead of dreading the chill). 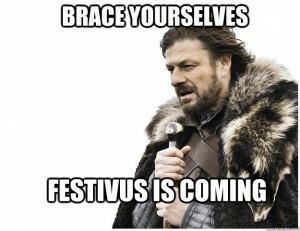 Do you like holiday lights, but hate being outside in the cold? Then go to the Ohio Statehouse Holiday Festival and Tree Lighting on December 1 at 5:30! 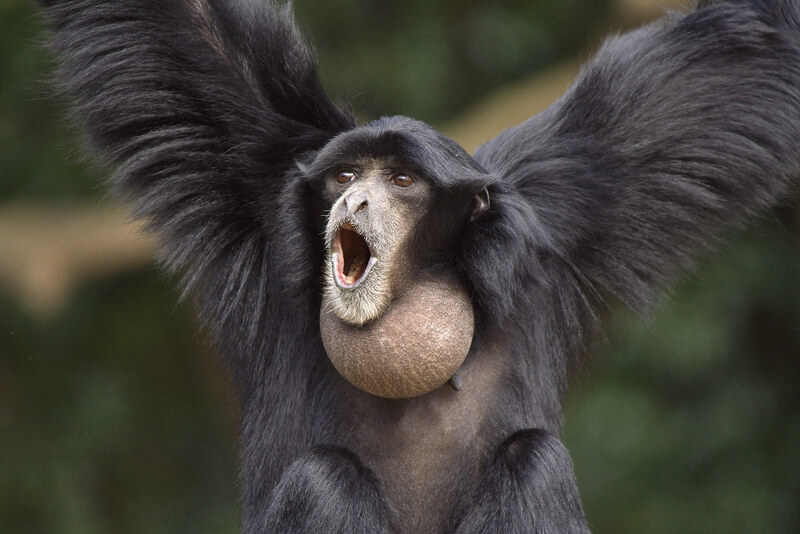 Take in the lights at Wildlights at the Columbus Zoo and Aquarium! The lights are already up and will stay up until Jan. 3. 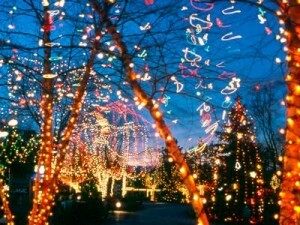 They have millions of LED lights, 3 animated musical light shows, Santa, Mrs. Claus, and reindeer! And through Dtix in the Ohio Union you can get tickets for $10! What more could you want? What signifies cold weather more than hockey? The Blue Jackets have three games before the semester ends: vs. The Panthers December 4, vs. The New York Islanders December 12, vs. The Tampa Bay Lightning December 14. Ohio State’s Women’s Ice Hockey has 2 games against Minnesota Duluth on December 11 and 12. 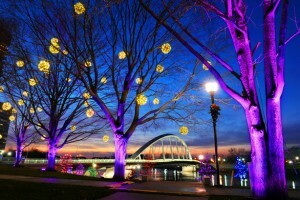 Kick off the holiday season with the Grand Illumination of Columbus as the Scioto Mile is lit up with thousands of lights! The ceremony starts at 5 p.m. on Dec. 4. 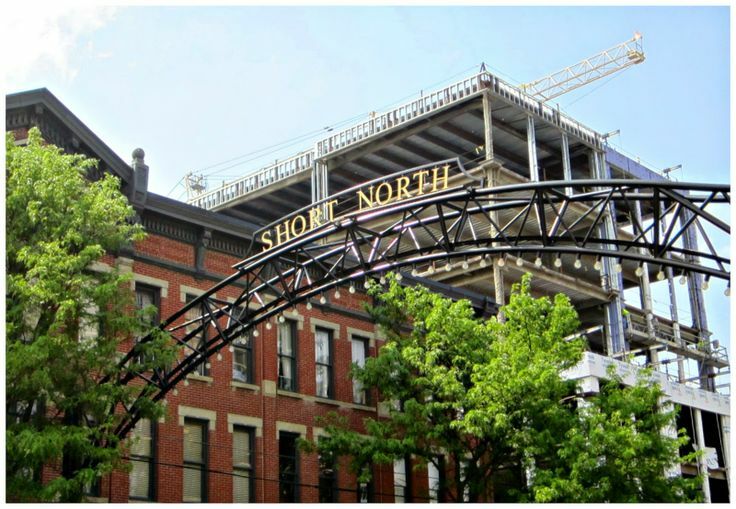 Explore the Short North during their Holiday Hop on December 5! Enjoy an evening filled with sights, sounds, food, shopping, Santa, and surprises! Get a selfie with Rudolph! North Market will have reindeer outside on Dec. 6 from 12-3 p.m.
Roam the historic streets of German Village and enjoy shops open late with holiday treats, discounts, and special offers during their Village Lights event. Festive surprises like carolers, live music, and a horse-drawn carriage are at every corner on Dec. 6 at 5 p.m.! 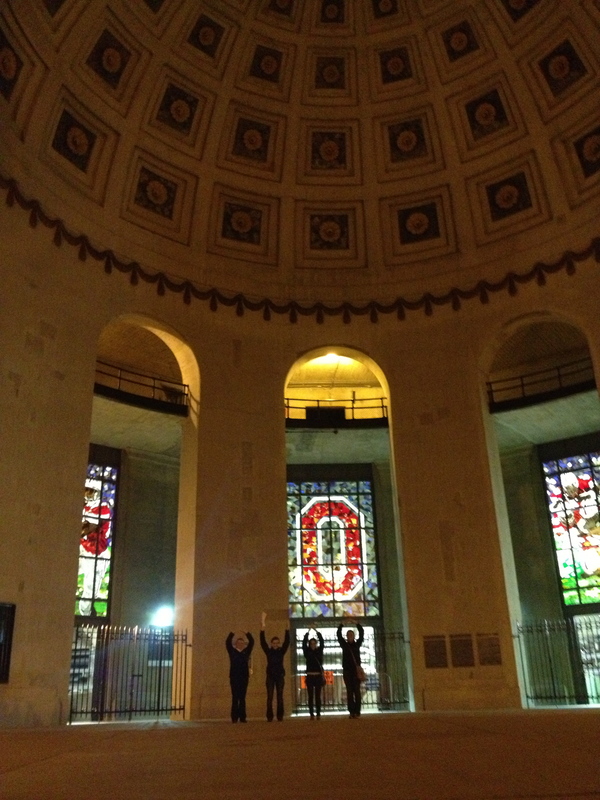 Celebrate with the Ohio State community at Light Up The Lake on Dec. 9. There will be student performers, a motivational speakers, snacks, and holiday fun! Relax with friends and just enjoy the energy that comes with this time of year! Your first spring break in college… we’ve all been there at one point or another. Was it as fun as you expected? Did you meet any new people? Is reality hitting you hard in the face because of how awesome it was? If you would have asked me what I was doing for spring break in December, I probably would have said something along the lines of “I’m going to the Bahamas with my friends,” however, I did something else and it was an AMAZING experience. 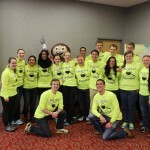 First year or not, listen up when I say that Buck-I-SERV at Ohio State is such a rewarding organization and I encourage everyone to participate in at least one before you graduate. I was asked to be a trip leader for a trip to Mullens, West Virginia, during spring break. When first asked I was kind of skeptical; I mean, why Mullens? Of course I learned more information about the destination. Mullens is a town in southern West Virginia that is experiencing many hardships at the moment. You see, Mullens used to be a town where things happened. Downtown was booming and there were many residents. In recent years, residents are finding a lack of jobs, which leads to the younger generations leaving the town. Mullens is a great little town, it reminds me of my own little hometown. Everyone knows one another and everyone is SO FRIENDLY. It was so nice to get away from the hustle and bustle of schoolwork and the city for a while. I didn’t know how much I was missing nature (or the woods) until I stayed in Twin Falls State Park. 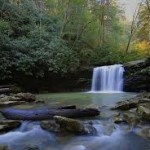 The scenery, the hills, the trees, the waterfalls — everything about it was gorgeous. There were six of us, including our advisor. It was a tiny group, but we had SO MUCH FUN. We were able to volunteer at the Mullens Opportunity Center (otherwise known as the MOC). They actually had a pretty horrible flood the week before we got there, so a lot of our work was to help with the outdoor cleanup. We worked with students from the University of Baltimore (they were awesome, by the way) the entire week. We shoveled up the fallen dirt to rebuild the hillside by a river behind the MOC, we filled in holes in the concrete with gravel, but our biggest project was the High Tunnel. You see, the MOC is an awesome place. This opportunity center holds workshops for the residents of Mullens that can help them in nearly all aspects of life. They have a workout room, a lawyer’s office, line dancing, a computer lab where individuals can earn their GED and SO many other programs. They also have fitness programs going on, where individuals can keep track of how many laps they took around the gym and the activity they’re involved in. If that wasn’t awesome enough, they hand out prizes to the person who completed the most that week. LIKE COME ON THAT’S CRAZY COOL. 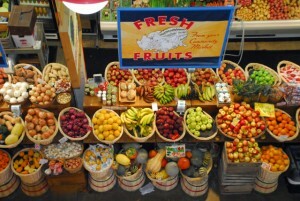 One of the MOC’s coolest projects, in my opinion, is their Farm to School campaign. Basically, this campaign is to try and get local farmers to grow fruits and vegetables for the schools in the county. Eventually, they would like each school to have their own High Tunnel to grow produce for the community. (A high tunnel is a fancy word for a greenhouse, in case you’re wandering, as I was.) We worked on constructing this and getting top soil and compost for the beds. By the time we were leaving they were working on the roof. Hands down, this trip was such a blast. The workers at the MOC were so thankful we had decided to come and showed us so much love. It was an amazing experience. One of the last nights we were there, we had a campfire with the University of Baltimore where a local orator told us stories about the town’s history and scary stories. We roasted marshmallows and listened to a delightful woman sing. It is so nice knowing that we helped make a difference. I love the little town of Mullens, and I want them to thrive. I am so thankful that I had the opportunity to spend the week with some new friends, make some memories, and help make a difference. If you ever have the chance to go on a Buck-I-SERV trip, GO. I promise you will love it. 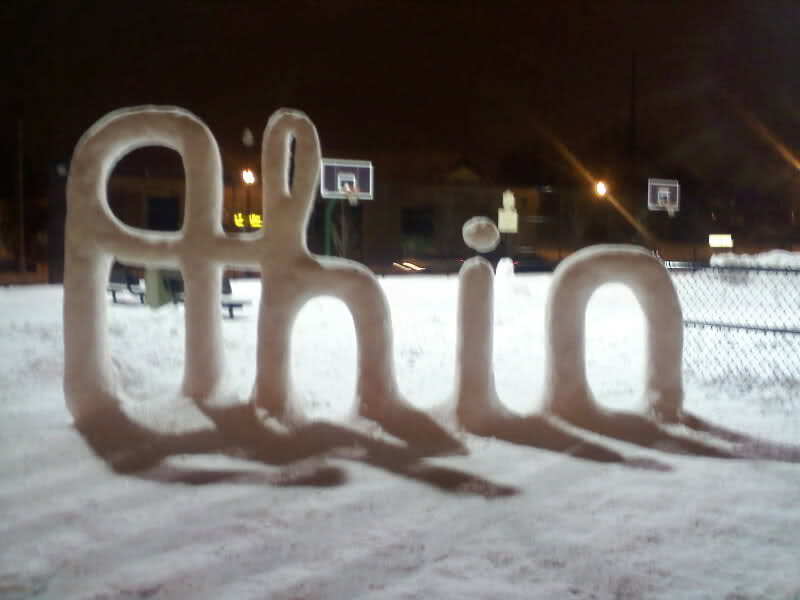 No matter how long you’ve lived in Ohio — born and raised or truly new to OSU — you probably do not love the cold. We’ve all seen our newsfeeds become filled with negative comments the minute the first frost hits and first flakes of snow fall. The freezing temperatures make it hard to muster the effort to leave your residence hall, especially if you live on the outskirts of campus. As a former Lincoln Tower resident, I understand this well. But fear not, because Columbus offers plenty to do beyond your residence hall (but still within the warmth of the great indoors). All of these places are accessible by Central Ohio Transit Authority (COTA) buses; check Google Maps or a COTA schedule for details. 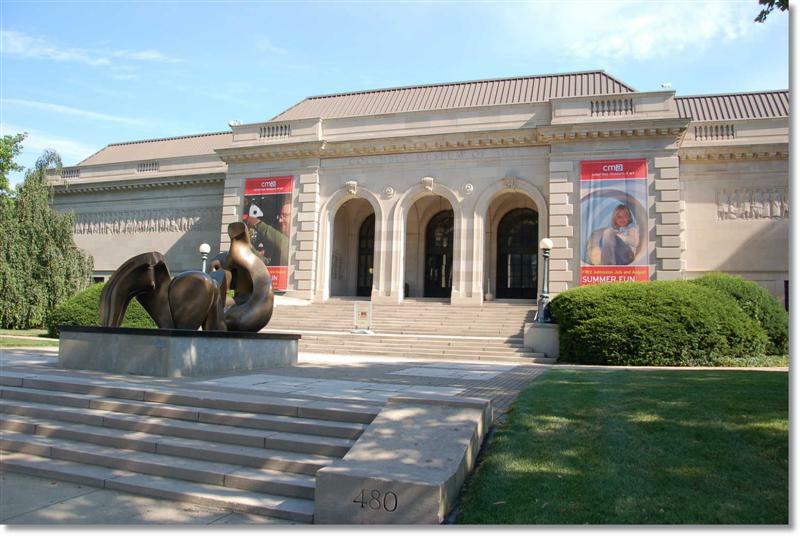 I visited the Columbus Museum of Art just a few weekends ago, and while it’s small, it is definitely worth a trip. There is currently an exhibit called “In __ We Trust: Art and Money,” which includes a really cool mural created by thousands of pieces of dollar bills, rearranged to make new pictures. This particular exhibit is on display until March 1. 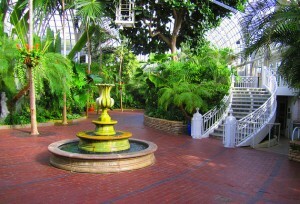 This is a great spot to take a date, to bring a friend or to visit alone. Admission is only $8 for students and the museum’s downtown location makes it a fun day trip away from campus, accessible on a budget. Just down the street from the art museum is the ultimate place to be inside in the winter. The Franklin Park Conservatory and Botanical Gardens allows you to escape reality for a day and surround yourself with long-out-of-season blooming flowers and plants. 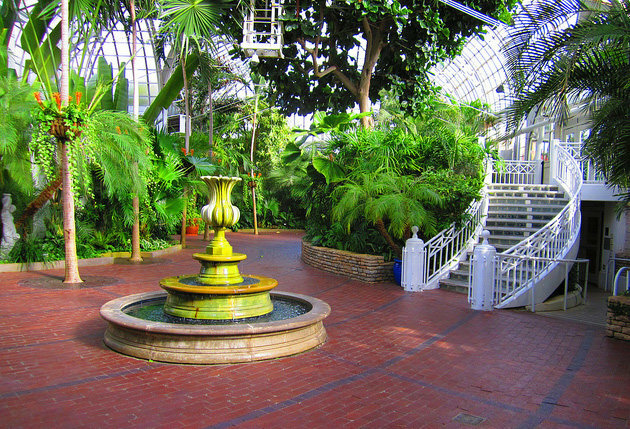 The indoor gardens and art displays are the perfect distraction from the bitter chill outside. Bring a friend for a day trip or a book to get lost in among the flowers; either way you’ll be able to transport yourself back to sunnier times. Admission is $10 for students. Already sick of the same five campus dining locations you frequent? Head downtown for the ultimate variety of food from all over the world including Jeni’s Splendid Ice Creams, fresh produce and other fun shops. In addition to the fantastic food offered there, the North Market is a great place to spend the afternoon people watching, catching up with friends, or studying for class in the expansive seating area on the second floor. Head back when the weather is warm, and you can even get your meal to go and enjoy eating it in nearby Goodale Park. COSI is perhaps one of the coolest places that students take the least advantage of in Columbus. For some of us, COSI is a place our Girl or Boy Scout troops visited when we were younger, while for others it’s a foreign land. But for any college student, COSI is a really cool place to learn more about science and the universe. In addition to its exhibits on topics such as energy, space, the ocean and life, COSI recently opened its planetarium — which, though it costs $5 more to visit, includes some really interesting shows about the universe. 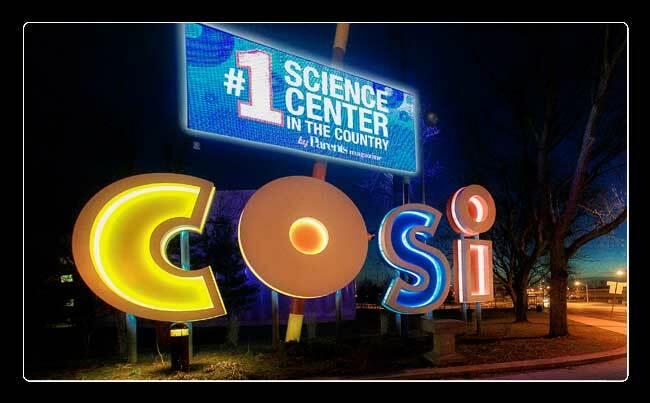 Admission to COSI is $19 for adults and students. If you’ve never given hockey a chance, being a student in Columbus gives you the perfect opportunity. There are two ways for students to get cheap tickets to a Blue Jackets game: with D-Tix, through the Ohio Union, and through CBJ student rush tickets. Hockey is sometimes swept aside and is perhaps less dominant in a country (and city) obsessed with football. But now that the Buckeyes are officially done (and undisputed champions), why not check out another Columbus team? Hockey is really easy to get into, and supporting your city makes it a win-win. Games are held at Nationwide Arena downtown. By now you probably recognize that the First Year Success Series features many sessions which address common first-year student issues. The First Year Success Series also offers many opportunities to learn about and explore topics you may never have thought about before. These sessions may touch on ways to get involved in the community, new ways of thinking about things, or common issues that aren’t often discussed. College is a time when we hope you take advantage of branching out to learn something new, so one of these sessions may be a great way for you to do that! What is unique about this session? 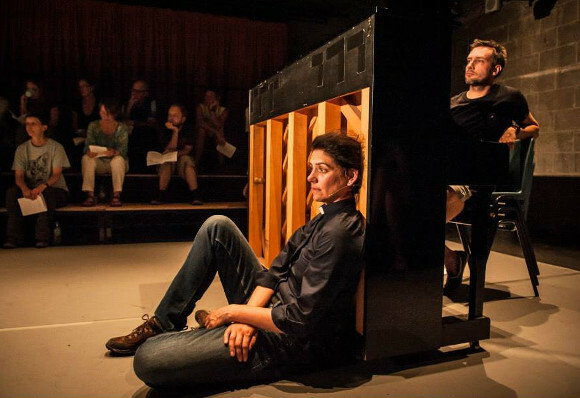 One of the highlights of the Wexner Center for the Arts’ 25th anniversary celebration, The Events is an award-winning play that addresses the effects of mass shootings and the impact they have on communities. Students attending the performance as part of the First Year Success Series will have a discussion after the play about how art is used to address important issues and what students can do to prevent violence on campus. What is unique about this session? At Ohio State, you have access to research just about anything in which you may be interested or for which you have a passion. This interactive session will demonstrate how you can use the resources available to you to research hip hop culture. No matter what your interests are, this session will show you how easy it is to connect to the library resources that will help you learn more about the things you care about! What is unique about this session? You have probably noticed that the ability to use things like Google or MS Office (Word, Excel, and Powerpoint) are treated as basic skills. If you don’t feel confident in your computer literacy or want to take your skills to the next level, this session can teach you some tips and tricks to be successful! What is unique about this session? 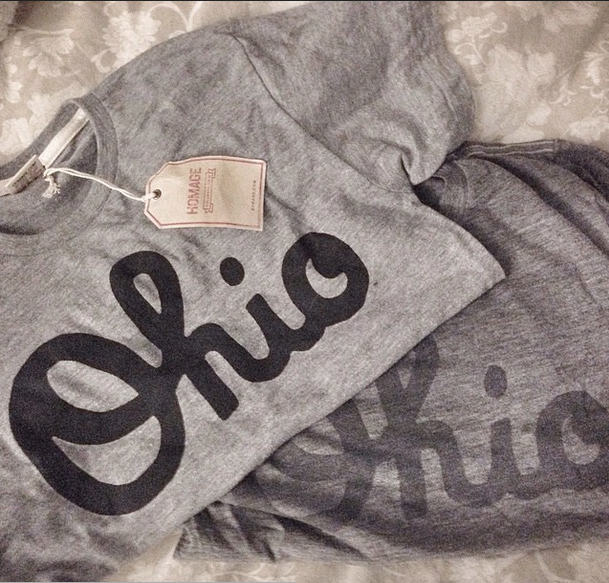 As a student at Ohio State, you are also a citizen of the city of Columbus. 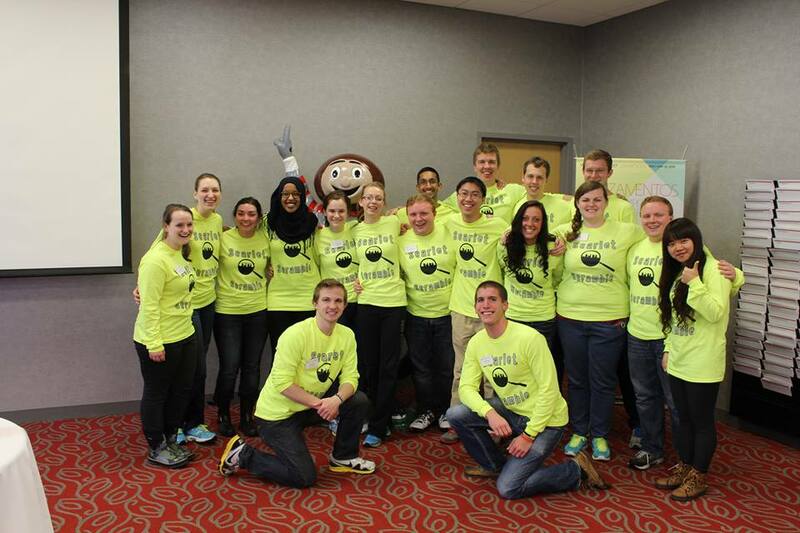 Ohio State students have had a tremendous impact on the local community through their dedication to service. This session allows you the chance to learn about what it is like to be a a high school or middle school student in the Columbus inner-city. Learn about the struggles and strengths from the students themselves and hear how students like you can leave a positive legacy on your new home. What is unique about these sessions? Many college students find themselves with so much to do, and so little time. 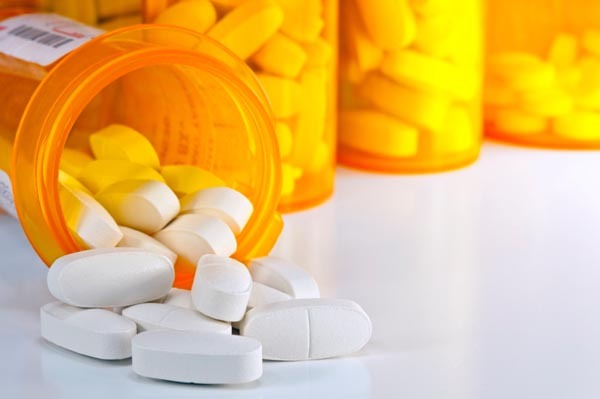 In the face of this dilemma, many students chose to use and abuse prescription drugs to study and focus. This problem is prevalent, but isn’t often on the top of the list of concerns among college students. Come to these sessions to hear about the potential negative effects that this very common issue can have on your health. There are so many different and unique session topics within the First Year Success Series. Use this opportunity to learn about something new and unique that you may have never thought about before. Whether it is something you find interesting or concerning, now is your chance to explore! 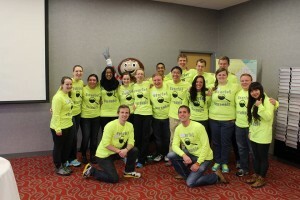 Register for your sessions today at www.go.osu.edu/FYSS. 23 Things to do on the Weekend! 1) Study: Let’s be honest, that midterm isn’t going to study for itself. I like to set aside a little time from my weekend to get down to business and get ahead in my classes. 2) Hang out: Going to class with friends is great, but make sure to get to know each other outside of the classroom. 3) Athletic events: The feeling around campus on game day is pure SCARLET AND GREY ENERGY. Breakout your Buckeye attire and face paint because the Bucks are about to win! 4) Concerts: Whether it’s a free OUAB concert or a performance at the LC Pavilion or the Newport Music Hall, Columbus is a favorite stop on some of the best tours. 5) Thurman Café: This famous burger café has delicious monster burgers (including the Thurmanator) and is located German Village. 6) Melt: Just a short bus ride or walk into the Short North, this restaurant has an amazing assortment of delectable sandwiches. 7) Jeni’s Splendid Ice Creams: World-famous Jeni’s Ice Cream is available on campus! However, I think visiting the shop in the Short North is well worth the trip. 8) Piada: For all you Chipotle fanatics, just imagine Chipotle but for pasta! 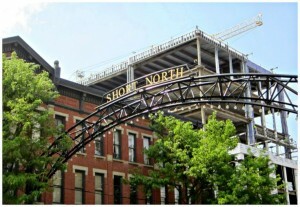 9) Northstar Café: With several locations, Northstar is my personal favorite for great food and organic options. 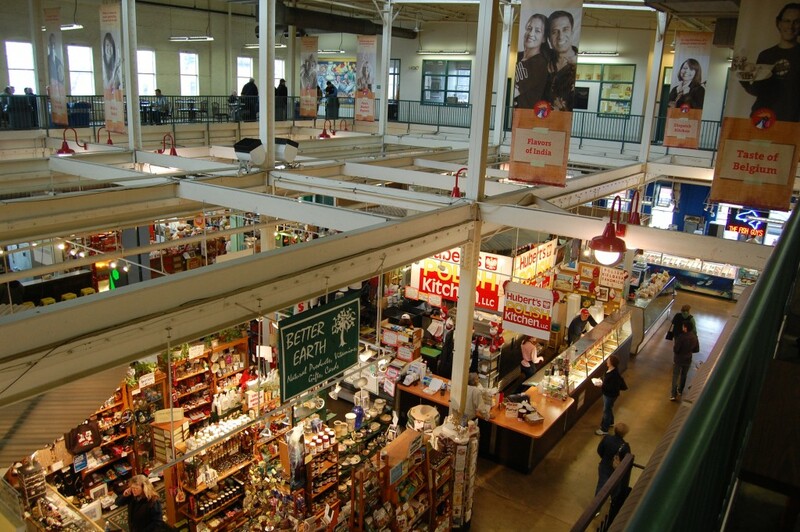 10) North Market: Right by the Convention Center, the North Market hosts many independent vendors and food from around the world. 11) Tai’s Asian Bistro: Talk about more bang for your buck, when I order their Pad Tai, it lasts me for days! 12) Union Café (not the one on campus): If you are looking for a great brunch, pop on in for some tasty breakfast food! 13) Surly Girl: Located close to campus in the Short North, Surly Girl offers great comfort food. 14) Katalina’s: Three words. Nutella Pancake Balls. 15) Figlio: If you are looking for pizza and pasta, Figlio in Grandview is a great place to eat! 16) Scioto Audubon Metro Park: This Columbus park has an outdoor rock climbing wall! 17) CoGo Bikes: No bike, no problem. CoGo is a bike share program so you can bike the Columbus trails. 18) Columbus Crew: So maybe you’re not playing on the field, but come cheer on Columbus’s very own professional soccer team. Check out student discount tickets at D-Tix. 19) Run the Trails: The Olentangy Trail stretches alongside the river. This is a perfect place for long runs and bike rides. 20) Relax on the Oval: It’s nice to actually stop and smell the roses (or grass) once in a while. 21) CoSi: You might nerd out a bit, but CoSi isn’t just for kids. This interactive science museum is a blast for all ages. 22) Call home: Let’s face it, there are times where you may miss home during your first year. Make a point of calling those good friends or family members when you’re thinking of them, they’ll appreciate it. 23) Sleep: You’ve earned it. Although you may not want to spend your whole weekend catching up on sleep, it’s healthy to take time to rest. Work on creating a healthy sleep schedule, so you can use your weekends to build relationships and have adventures! Check in on July 7 (orientation day 25) when Nikki will write about The 25 Tweets You Might Post During Your First Year.